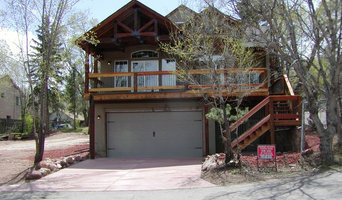 30 years in the pikes peak region as a residential and light commercial general contractor. No job too large or too small. 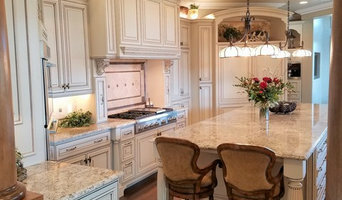 KV Design Associates, Inc. is a full service interior design firm with 25 years of experience. In collaboration with industry professionals, we take your vision and turn it into reality. Our personalized design services represent each client's unique tastes, personality and lifestyle. Whether you want a complete renovation, or are constructing a new home or office, we can deliver the results you desire. Times are constantly changing, and it’s important to stay up-to-date with the latest trends and designs — especially when it comes to your residential or commercial space. In 2000, I brought my passion for art and interior design to life, and since then I’ve been transforming homes and office spaces in a way that aligns with my clients’ taste and vision. I’m happy to help you create the design you have always wanted. If you’re interested in learning more about my services, call today to book a consultation! Few things rival the simple elegance, natural beauty, and durability that granite countertops add to your home. Created by nature and refined by our craftsmen with modern technology, granite countertops are an investment that you will never regret! Deep iridescent colors and elusive beauty, that can only be found naturally in stone, creates an ambiance of formal sophistication like no other for any room in your home. Janey Lattimer has over 50 years of experience in the field of design, space planning, and interior architecture. Through collaborations with architects she has gained an understanding of the design process from research to schematics to working drawings, specifications, and bid documents. Janey Lattimer's greatest strength is her ability to interpret clients' needs and translate those needs into a workable, and appropriate design. Tim Toussaint, Owner of Elevation Homes has been in residential and commercial construction for the past 10 years. He is an 18 year native of the area residing in Black Forest and builds 8-12 custom and semi-custom homes per year as well as performs other renovations and light commercial work. Tim has performed as a project manager and superintendent on projects of all sizes. He personally manages all aspects of the business from the customer to subcontracts, scheduling, budgeting, bank draws, change orders, and submittals. 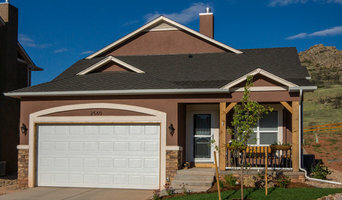 See the "Custom home showcase" link for pictures of past and current projects. Our relationships with all subcontractors are paramount. Therefore, the same trade partners will be seen on many projects. Staying a small builder allows Tim to be hands on in every facet of the building process. Individual attention can be given to each project with no distraction from managing other projects at the same time. Elevation Homes is licensed as a B-1 contractor, fully insured, and in good standing with the Pikes Peak Regional Building Department. Chaundra Toussaint joins the company after spending many years managing projects for the City of Colorado Springs and it's consultants. Her role is currently to work with customers through the selections process and other project coordination duties. ABOUT YOU Success in life allows for some incredible opportunities. What can be difficult is finding the right people that help you enjoy that success. For someone to take the time to understand you - to make your space match your life. With me, time will be taken to understand your dreams, your goals, your needs and wants. With amazing team support, we will ensure that everything goes to plan... From the big picture all the way to the smallest of details. Most importantly, we are going to laugh each and every time we get together, enjoy the adventure, and make it a first class experience... An experience celebrating your success. Working together, you will enjoy what you have worked so hard for - Legendary Design. Outrageous Life.